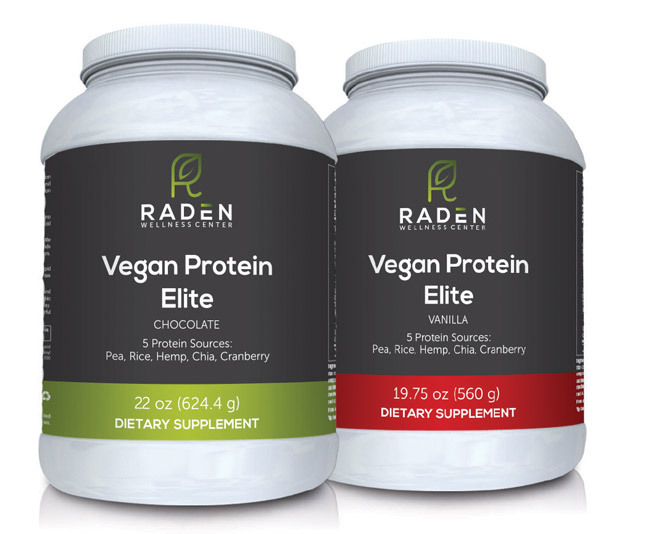 Vegan Protein Elite is a revolutionary plant protein blend featuring 5 hypoallergenic, vegan protein sources – pea, rice, hemp, chia and cranberry – to provide a well-balanced amino acid profile in a high protein formula. In addition to the well-rounded protein profile, this formula features many unique ingredients to support the immune system, the digestive system, body composition, bone health and detoxification. * Pea and rice protein provide a branch chain amino acid profile that is comparable to whey protein, providing high amounts of cysteine, lysine and methionine. This formula contains three additional protein sources, each with unique properties: organic hemp protein, which is rich in edestin that can stimulate antibody production; chia protein, which is desired by athletes for its endurance boosting properties and promotes hydration and a sense of fullness; and cranberry fruit protein, which has urinary tract and antioxidant benefits. * L-glutamine and l-taurine are added to this formula to support an increase in lean muscle mass. * This formula contains Aminogen®, a patented plant-derived enzyme blend, which helps the body break down and absorb more amino acids from protein. * It is clinically proven to release 100% more plasma amino acids, 250% more branched-chain amino acids and boost nitrogen retention by 32%. Directions: Stir or blend two scoops (44.3 g) into 10-12 ounces of cold water or as directed by your healthcare practitioner. To increase sweetness, use less water. To decrease sweetness, add more water. Contains No: Wheat, soy, yeast, milk, whey, animal or dairy products, artificial colors, sweeteners or preservatives.